This year for the holiday season, my side of the family decided that due to the sheer number of adults that exist amongst our first line of blood relatives and their partners, we'd reduce the intense financial obligations Christmas causes down to £10 per adult. We then decided to pool those 12 tenners into one or two lovely gifts per person, minimizing the pile of 'stuff' we once received into a single set of carefully curated quality creations. It has made the holiday seasons significantly less stressful and has also left enough head and pocket space for me to add one or two tiny individual gifts to stuff the stockings of my loved ones. Since I started blogging, most the items I give are items I've made myself (and over the next 12 days, starting tomorrow, I'll be sharing some DIY ideas including the stocking tutorial which led to the creation of the stocking you see above ... ), or items from brands I've discovered or been introduced to in the previous year. Below is a compilation of this year's stocking stuffer ideas (and ideals) from ethical and sustainable brands. ECO + ETHICAL HOW? Founded by a Wildlife Conservationist, Stockholm Rose Designs centres around the natural world mimicking nature with each stunning creation. 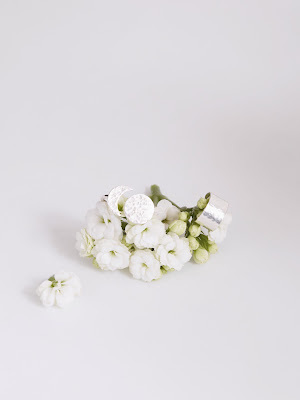 Fashioned using with certified Argentium made using 100% recycled silver, each piece is hypoallergenic meaning it is suitable for those who cannot wear traditional sterling silver. ECO + ETHICAL HOW? Created by designer and metalsmith Ana Aguilar, this collection is a moving dedication to the ancient craft of moving metal as a means of adornment and sacred talismans. 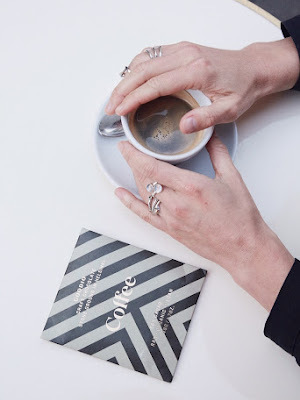 Each piece is handmade using ethical metalsmithing techniques and adorned with stones and materials that are sourced from known conflict-free environments, ensuring the upmost of intentions. Ana’s creations are true works of art, intricate and delicate while simultaneously sacred and strong. ECO + ETHICAL HOW? This creator is after my own heart with her beautiful bohemian creations. 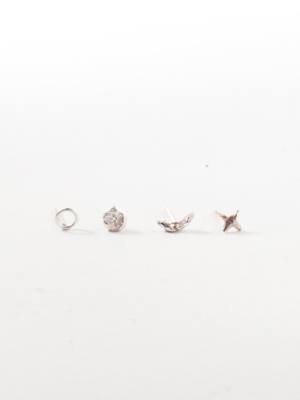 This set of four tiny stud earrings is a minimalist take on the phases of the moon, one representing the new moon, full moon, crescent moon and a star. Everything is sustainably made, high quality and made ethically. Her 14k Fiarmined Gold is the leading sustainable and ethical gold choice from artisanal small-scale mining and is backed by a rigorous 3rd party certification and audit system that ensures that small entrepreneurial mining communities meet world-leading standards for responsible practices. 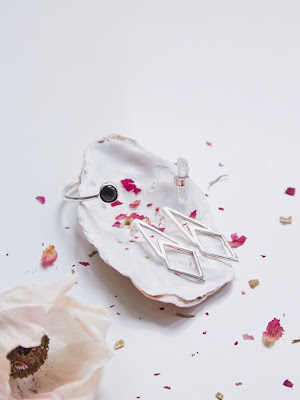 All of her sterling silver and silver metals are from reclaimed and recycled sources, reducing the environmental impact of each pieces production to nought. Each gemstone is sourced and cut from artisanal small-scale miners which have traceable ethical origins, or sourced from lab-grown or vintage reclaimed origins. ECO + ETHICAL HOW? 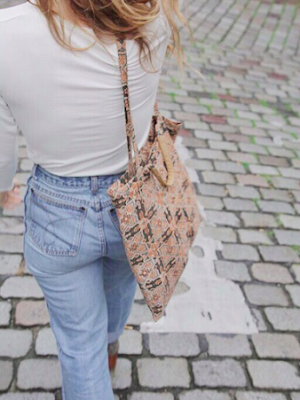 This lil ditty takes the regular ole tote to a whole new level with interchangeable short and long strap options and an inner pocket for your small stuff. She's got a leather lined small strap made from deadstock leather, remnants from the furniture industry. 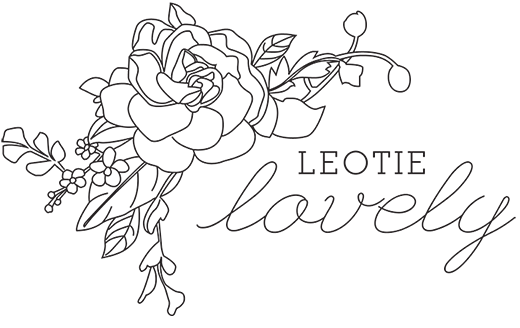 Each one is ethically made in London, and if you email me at leotielovely@gmail.com I can send you some fun fabric options which have not yet been put online. ECO + ETHICAL HOW? My husband discovered this soap in Kate from Eco Boost’s bathroom, sounds creepy, but there’s a reason for him being there. 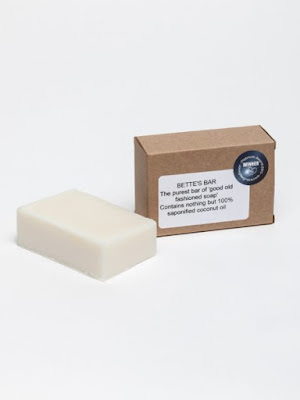 It’s cold-pressed soap which is suitable for cleaning just about anything and it’s made by hand in the traditional way using 100% coconut oil that is natural, safe and non-toxic. It contains no dyes or detergents, nor fillers, perfumes, phosphates, brighteners or petroleum and it is biodegradable and safe for septic tanks. You can use it in the shower, or as a stain remover, and around the house as well. 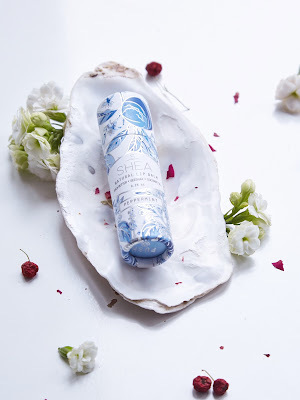 The soap is created by a brand called Mangle &amp; Wringer who sells a simple collection of natural cleaning remedies made ethically and sustainably. A perfect addition to ones stocking and life. ECO + ETHICAL HOW? 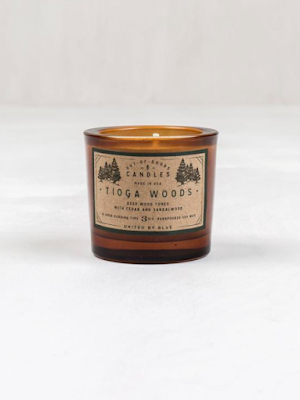 Hand poured in Philadelphia, these soy wax candles come in some delicious smelling outdoor scents that bring the outdoors in with names like Tioga Woods, Log Cabin, Surf, Mountian Top. They’re adorned with a hand-drawn label and the GMO-free soy wax is housed in coloured glass. They even give you instructions on how to recycle the glass container once the candle is done. 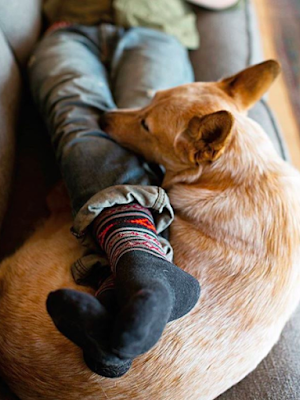 Everything from the cotton wick to glass and paper is all-natural and American made, keeping it lovely and local. ECO + ETHICAL HOW? This handmade Helsinki bean-to-bar chocolate is created with artisan skill using organic, wild, raw ingredients sourced (where possible) from Finland. Their wild blueberries, sea buckthorn, mint and cranberries are locally produced and infuse with the stone ground chocolate to create some unique tasting treats, packaged in biodegradable wrapping. ECO + ETHICAL HOW? Socks with a lifetime guarantee, so all you have to do is not lose them and they're yours for life ... come hell or high water. They're made from an extremely high quality and high loop count merino wool making them incredibly durable, while also ensuring they're cool in the summer and warm in the winter. The gift that keeps on giving.